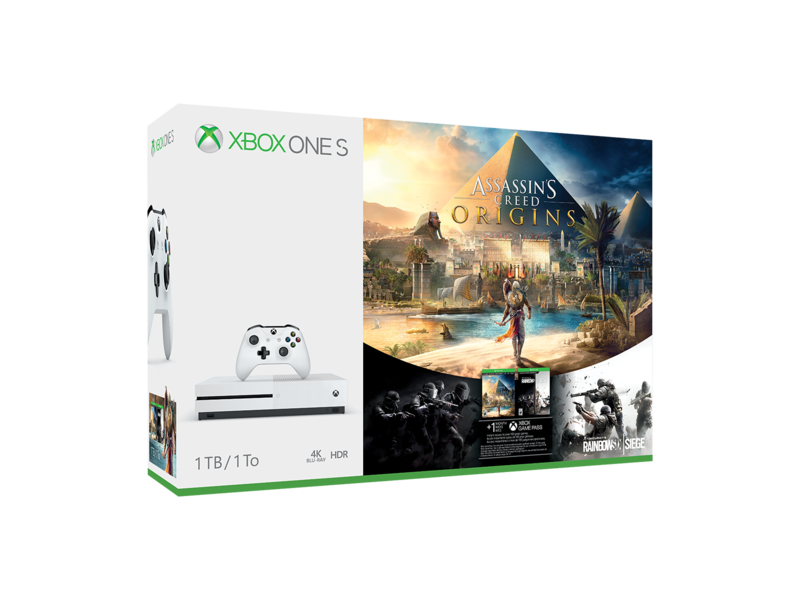 A new Xbox One S Assassin’s Creed Origins bundle has been announced, offering players a new opportunity to upgrade their home entertainment setups and explore the dynamic open world of Ancient Egypt when the bundles launch on October 27. The 1TB bundle will include full-game download codes for Assassin’s Creed Origins and Rainbow Six Siege, so you can experience both the rich landscape of Ancient Egypt and intense tactical firefights. The bundle also includes a 1-month Xbox Game Pass, giving you access to a sizable catalog of Xbox One and backward compatible Xbox 360 games. The Xbox One S can also deliver 4K video through Blu-ray or streaming, and supports High Dynamic Range (HDR) video. The bundle will retail for $349.